India signed an agreement to train Vietnamese to operate nuclear power units at an unusual ceremony presided over by the Chairman of their Lower Houses of Parliament. New Delhi (Sputnik) — India signed an agreement on cooperation on peaceful uses of atomic energy with Vietnam at a ceremony presided over by the Speakers of their respective Legislatures. "The Prime Minister said the agreement will further strengthen the Comprehensive Strategic Partnership between India and Vietnam," said a statement after Indian Prime Minister Narendra Modi met the President of Vietnam's National Assembly Nguyen Thi Kim Ngan. The agreement entails capacity building and training of Vietnamese nuclear scientists by Indian experts. India will also give assistance to improve safeguard measures of nuclear installations of Vietnam. India had earlier signed this type of agreement with Sri Lanka. Both the countries also signed agreements to enhance aviation links, jointly work in the area of energy efficiency and promotion of parliamentary cooperation. The latest civil nuclear agreement is modeled on the Indo-Sri Lanka civil nuclear pact that focuses entirely on skill upgradation in various spheres of nuclear plant operations. The agreements were signed in the presence of Speaker of Indian Parliament, Sumitra Mahajan and Ms. Nguyen. 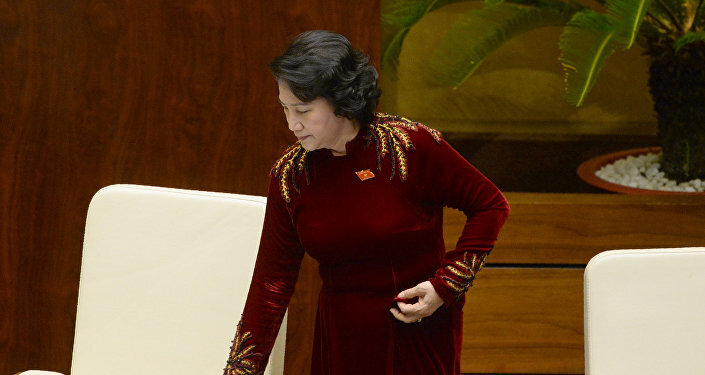 "The Prime Minister said that Ms Nguyen, as the first woman to head the National Assembly of Vietnam, is a source of inspiration to women across the world. The Prime Minister called for instituting an exchange programme for young parliamentarians for the two countries," according to the Ministry of External Affair Spokesperson, Vikas Swarup. Ms Nguyen is leading a Vietnamese Parliamentary delegation to India.